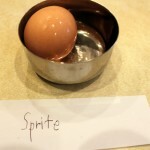 We did couple of small experiments after we studied about teeth and tongue. 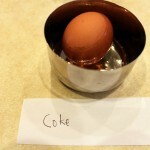 Kabir requested to do the taste experiment as he has been doing this since last 2 years or so. 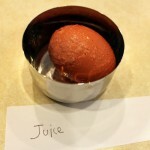 I blindfolded him and he tried to tell what is it just by tasting it. 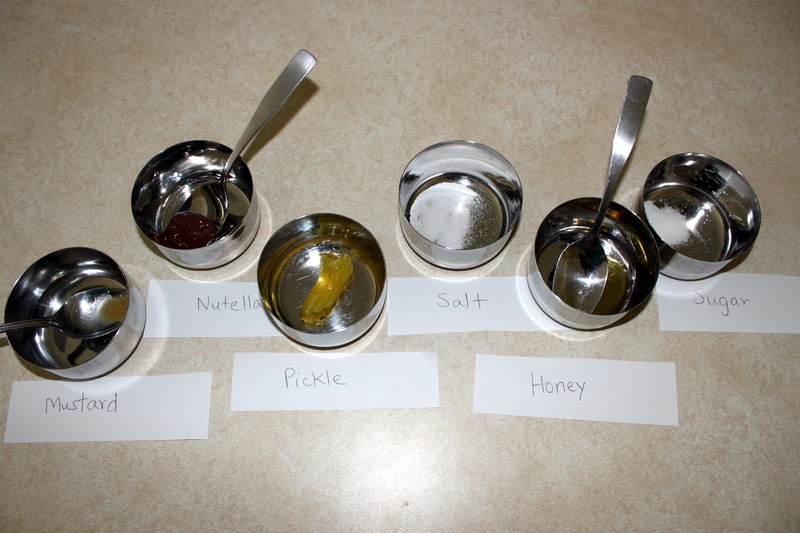 This time we kept it simple and just tasted 6 things: sugar, salt, mustard, pickle, honey, and nutella. 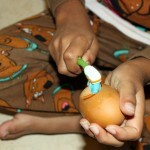 Then we did the following “brush your teeth” experiment. 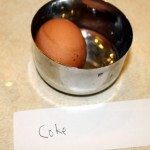 This is what he wrote in his science journal. 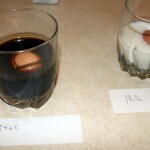 We put one in coffee, one in Coke, one in Sprite, one in grapefruit juice, one in milk, and one in water. 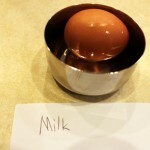 Then we left them overnight for sixteen hours. 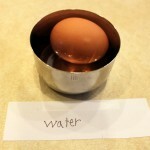 We transferred the eggs into bowls. 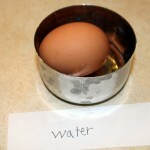 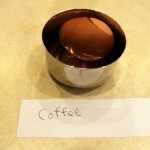 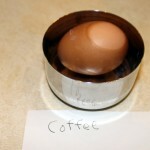 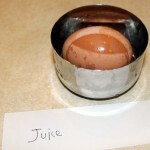 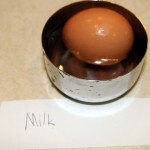 The egg we put in juice turned out to be covered with darker brown coat (for all the eggs were light brown). 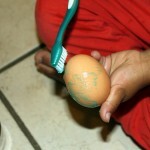 We brushed the eggs with toothbrush and toothpaste. 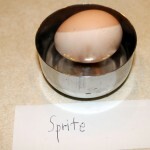 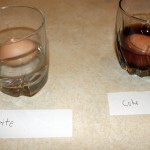 milk and water are stainless, but Sprite and Coffee have caused discoloration of the eggs (coffee gave a dark brown coat, and Sprite gave it a white coat), and the discoloration couldn’t be brushed off, and Coke also has made a slight discoloration on the eggs which could not be removed. 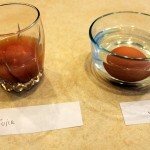 But grapefruit juice has caused discoloration of the egg, made freckles, and took out the outer thin layer of the shell.